The Dondo live in the districts of Baolan, Dondo, Galang and North Dampal in the Toli-Toli regency of Central Sulawesi. They tend to live in groups which are scattered over this entire area. Generally, they prefer to live by the riverbank in the jungle. The population of Dondo is about 16,000 people. They are one the Least and Unreached People Groups in Indonesia. The Dondo speak the language of Dondo. According to the Dondo people themselves, this language is different from the Toli-Toli language. The Dondo language is part of a larger linguistic grouping called the Nothern Tomini subgroup which also includes the Lauje and Tomini languages. What do they do for living? How their lives look like? The traditional house of the Dondo is built on a raised platform and made from wood, bamboo and rattan. Houses are raised off the ground as high as two meters. The houses are rectangular, roughly five by seven meters. Usually they have only one door and a ladder at the front of the house. Roofing is made from the leaf of the sago palm. In the past, Dondo was a sultanate. The Dondo sultan and his nobles and aides were chosen through their ancestral lines. During those times, there were four classes among the people: royalty, nobility, commoners and slaves. At 16 years old, a Dondo person is considered an adult. This status is symbolized by the young person having his or her teeth filed in a community ceremony. After marriage, the new bride and groom may choose to live with either the husband’s or the wife’s family. According to the Dondo custom, a man may have more than one wife. Divorce is permitted if the couple is no longer compatible. However, the divorce has to be witnessed by a traditional leader (Kapitalau). The Dondo have embraced Islam for many generations. However, many Dondo continue to practice animism, especially those who live in the highlands. Historically, the Dondo kept the body of a deceased family member inside a sago palm trunk that had been scraped out. The burial took place in the yard of the family residence and the family members bid farewell to the spirit of the deceased by sleeping around the grave for several days. Do they have God’s word and resources? Ask God to send His workers to reach out and share the Good News with the Dondo people. Ask God to prepare their hearts, open their ears and show to them Himself. Ask God to rise up His churches to go and reach out to them. Ask God to open the way and make the way for His workers to go. Ask God to make the way that the people of Dondo will have His word in the language they understand best. Ask God how He wants you and your church can be part of His work to reach out these people. Thank You for praying for them today! 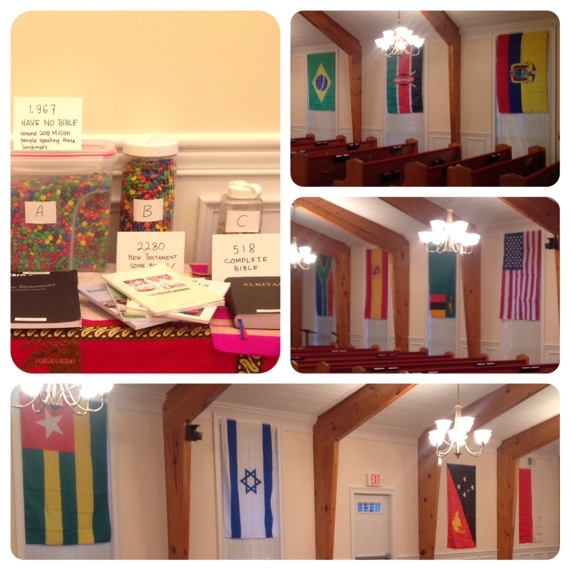 Last weekend, 9/20 – 9/22, our local church held a Mission Emphasis Weekend. There were two other couples who are missionaries shared about the passion God has put in their hearts to serve Him. We are so thankful for all people who are praying for all the people who have not yet heard the Good News in all nations and asking God to reveal His glory and reigns among the people, including in Indonesia. It has been a long journey for the Alune people to receive the Word of God in their heart language. 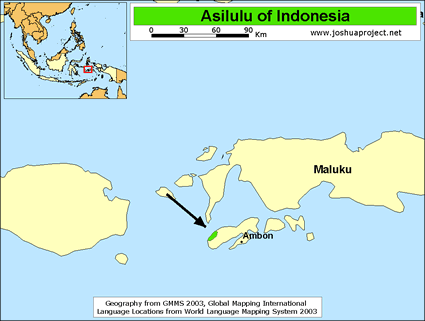 The Alune people live in Indonesia on an island that is part of the Maluku archipelago. There are around twenty thousand people in this language group. Once known as fierce warriors, a powerful Alune leader came to know Christ in 1920 and influenced many of his people to do the same. However, it wasn’t until 1986, when two Alune men sought help from foreign linguists, that the translation work of the New Testament was started. During those twenty-six years, the translators faced many hardships. And in 1999, they had to evacuate to Australia due to civil unrest. Two full-time mother-tongue translators continued to receive further training and carry on the work, despite many hardships that they encountered along the way—bombs, life threatening experiences, illness within their families, helping others to deal with trauma, and countless more. After twenty-six years of trials and perseverance, the Alune people are finally able to hold the finished work of their perseverance—God’s Word in the language of their heart. There are more than 190 millions people in Indonesia who speak about 450 languages are waiting for God’s word available in their heart language, just like the people of Alune. Would you be praying for them today? Would you ask God to send His workers to go and bring the His word to those people who have been waiting for so long to hear His Kingdom News? Would you ask God how He can use you bringing the Word to over 190 millions people of Indonesia? Thank you for lifting them up today in your prayers! God is glorified in all the answers to your prayers!